By Herbert W. Auger, Esq. Most People Don’t Know How Car Insurance Claims Really Work. Statistically speaking, you or a family member are destined to be involved in some form of automobile accident, and will likely suffer some kind of injury. When accidents happen, most injury victims assume that insurance companies are going to play fair when it’s time to assess the damage and pay out compensation. Claimants are shocked when they find out the truth: that most insurance companies are out to protect their bottom line. They are in the business of making money. Many companies go to great lengths behind the scenes so that they pay out as little as possible. What Is the Insurance Company Keeping From You? How can you protect your rights and make sure you get every dollar you are entitled to under North Carolina and South Carolina law? When your insurer acts in bad faith, how to take legal action to make them accountable and to compensate you fairly! How to find an attorney who can truly make the difference in your car accident claim. The Insurance Company Is Already Protecting Its Interests. It’s Time to Protect Yours. If you have been injured in a car wreck because of the negligence of others, you have the right to be financially compensated for any related injuries, mental and emotional anguish, loss of quality of life and financial hardship you may suffer. But as you may have learned, the insurance companies don’t make it easy. 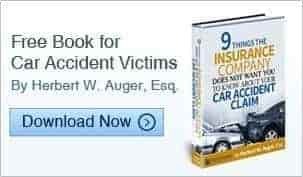 It is our hope this book not only educates you, but gives you a sense of assurance that you can take on the insurance company with the confidence that you will be fairly compensated for all of your losses. So get ready, be prepared, and know what to do if the unthinkable happens. Learn what the insurance company hopes you never learn, and get the money you or your loved ones deserve.